We provide services to small, medium and large size companies, offering nationwide deliveries with a cost effective client targeting. 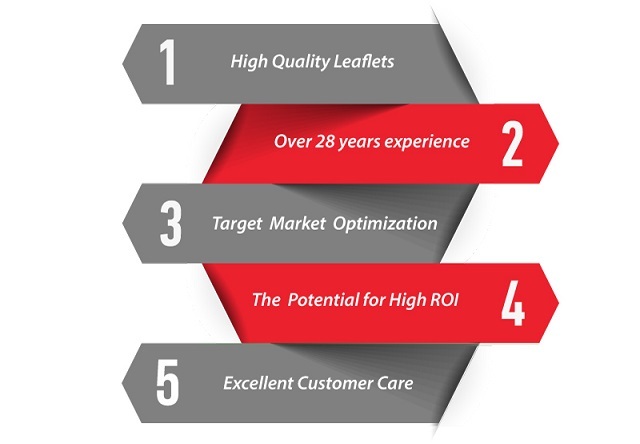 Leaflet distribution is a highly important part of a marketing campaign as it allows you to directly reach your clients. In a fast paced world you need your business to stand out and you need to increase your client’s loyalty and the recognition of your brand. Checking the letterbox is a part of everyone’s daily routine and when a leaflet is placed in a letterbox it reaches the hands of the decision maker.Leaflet distribution is a marketing campaign that can offer you the potential of a high return on investment and lead to maximum client conversion. Here at Door 2 Door we can offer you world class service and with our “Residential leaflets distribution” option, which is a tailored option, we deliver the leaflet directly to your potential client’s letterbox.